UK Asset Resolution has only one objective: to get maximum value from two banks taken over by the state in the financial crisis — Bradford & Bingley and Northern Rock. Around 389,000 borrowers have ended up as customers of this business, and many are in dire financial straits. Few, though, can be as bad off as the Kauffmans, who we feature today. If they don’t repay their £376,000 mortgage by a week tomorrow, UK Asset Resolution will repossess their home. 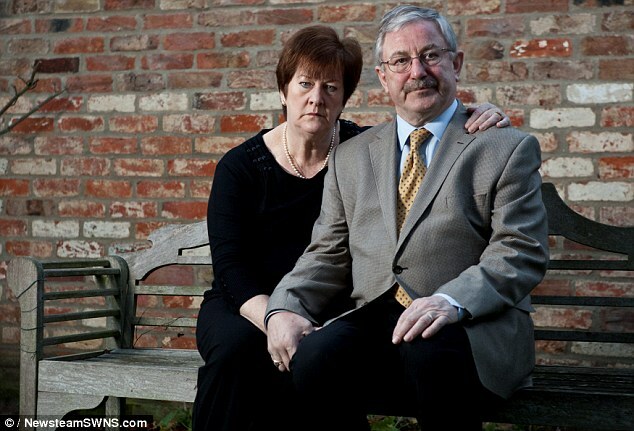 Victims: If Richard and Rita Kauffman don’t repay their £376,000 mortgage by a week tomorrow, UK Asset Resolution will repossess their home UKAR is a business without a heart. It has no public shareholders and no reputation to protect. Its sole point is to ruthlessly pursue the money it is owed. If that means turfing onto the street an elderly couple who are the victims of a diabolical mis-selling scandal, then so be it. The bosses of UKAR — Richard Banks, Richard Pym and Ian Hare — know quite a bit about financial strife. They all had senior roles at banks that later failed in the crisis. Perhaps they think Richard and Rita Kauffman can also walk into a cushy banking job after everything has fallen apart around them. Everyone should be ashamed of their role in this mis-selling scandal. The financial adviser who talked them into this rotten deal was part of a group of salesmen who used high-pressure tactics and psychological tricks to convince people to take out high-risk deals so they could earn a huge commission. Bosses at Mortgage Express approved a home loan for the Kauffmans of £216,093 — bringing their total borrowing to £374,925 with barely a question asked about how this huge sum would ever be repaid. That was utterly irresponsible, yet so far no one has been held accountable. Bank of Scotland — now part of Lloyds Banking Group — loaned the pensioners a further £194,931, knowing this would be used to invest in a package of high-risk endowment plans it would also sell them. Whose head rolled there? This cobbled-together Frankenstein investment plan has allowed the different businesses involved to wash their hands of any blame because they were just one part of a bigger monster. Even in 2006, before the financial crash, deals like this were disgusting. No bank should ever lend money to allow someone to invest. UK Asset Resolution has the ability to keep the Kauffmans in their home and ensure they get justice. That would be the best value for the country — not leaving an elderly couple homeless and penniless. Sadly, UKAR has shown it doesn’t have an ounce of decency. 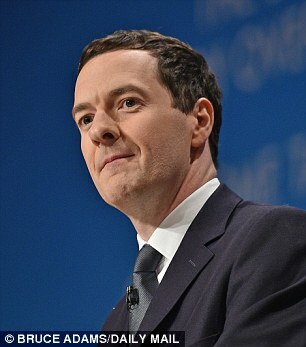 Now it’s up to Chancellor George Osborne to show that he does. He is the one man that now seems to have the power to keep the Kauffmans in their home.